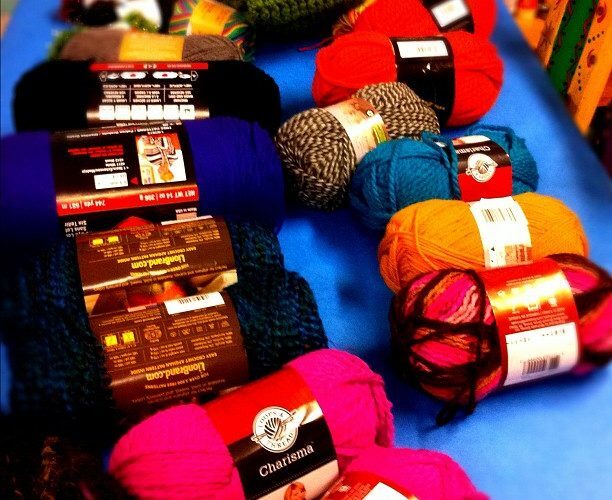 My yarn haul from last night. That’s a lot of scarves to make! I have this crafty OCD issue where I make something and get super excited and then I go out and buy enough supplies to make said item for an entire army. That’s where I’m at with my crocheted scarves this weekend. all I want to do is make them. I’ve made three so far and I had to stop because my wrist began to hurt. This video clip is me last night…I don’t even know what happened! Next ArticleI made five scarves this weekend! That was so funny! Your daughter is captured it perfectly!